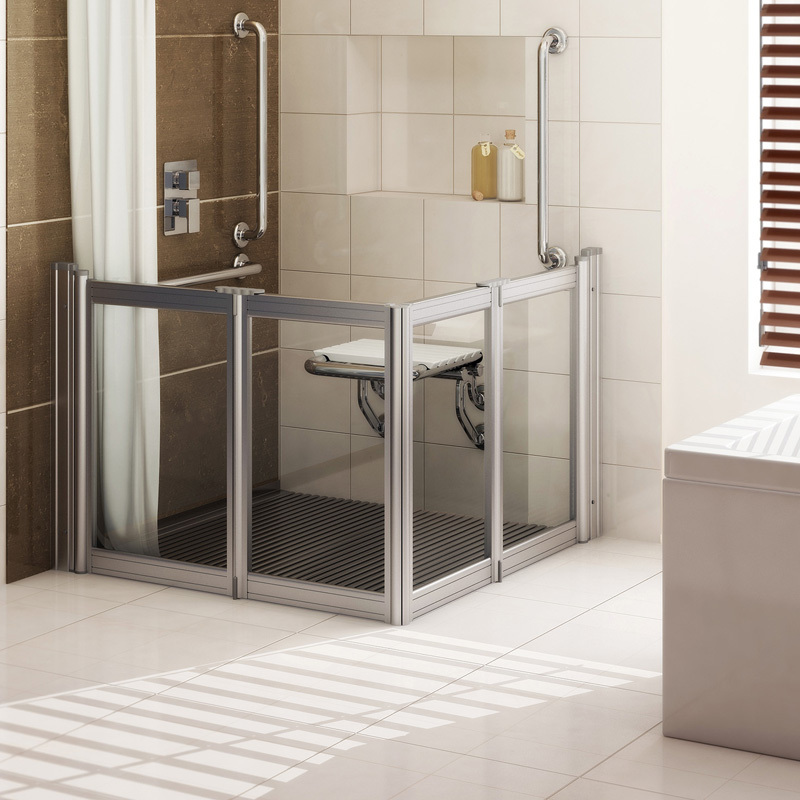 With the ability to adapt to a wide variety of bathroom layouts, Aluseal half-height shower enclosures provide versatility, durability, style and economy of space. All products come with our Lifetime Guarantee. 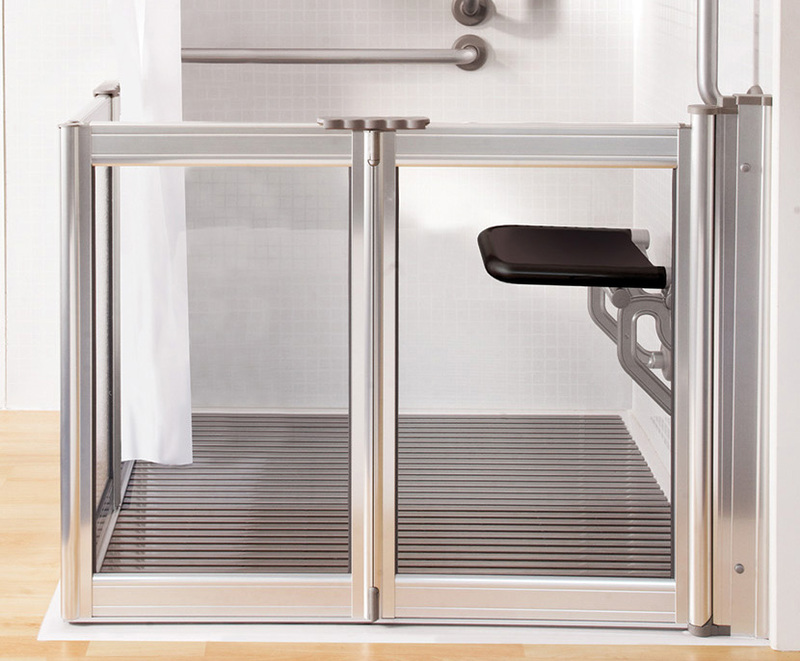 Aluseal half-height shower doors are designed to make it much more straightforward to get in and out of a shower. 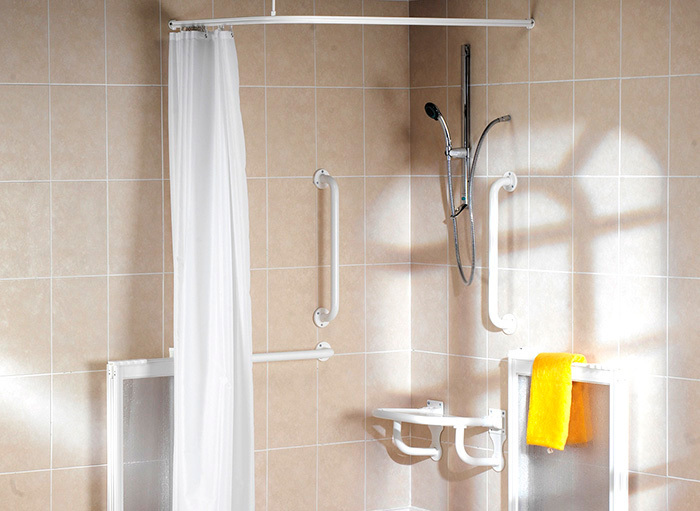 They are easier to open for people of lesser mobility and especially useful for anyone who requires assistance from another person when using the shower - the doors' half-height clearance makes it much easier to reach over. Aluseal half-height enclosures are more versatile and durable than most rival products and provide smooth, attractive looks. 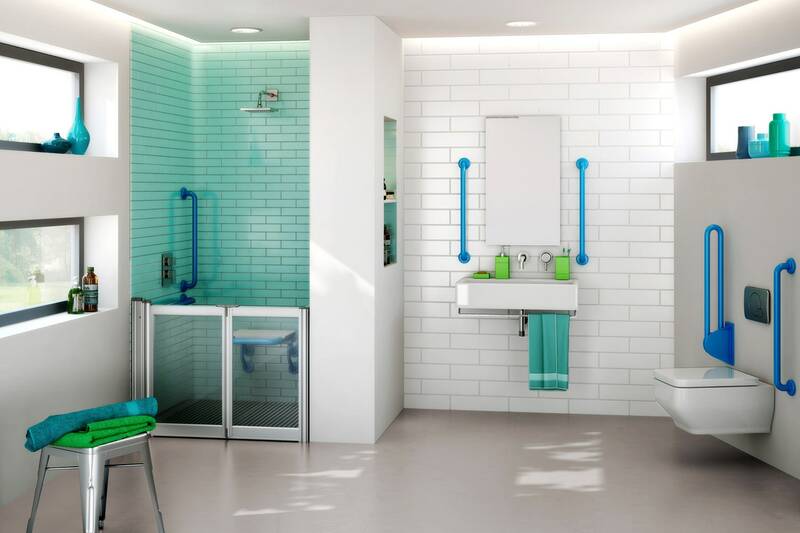 They offer a market-leading range of features to maximise comfort and ease of use whilst ensuring that water stays within the showering area. 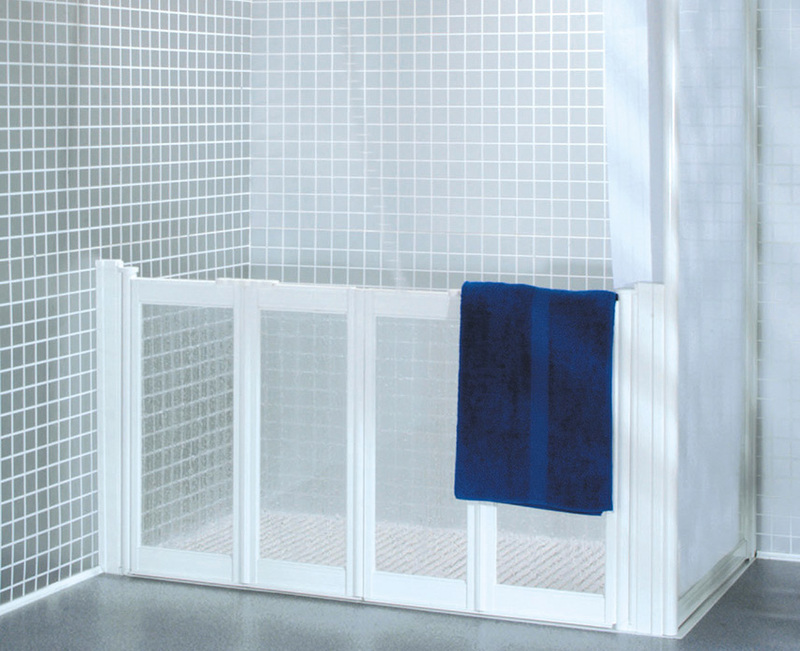 neaco also offers a range of standard shower packs containing Neatdek 3 shower grilles with compatible Aluseal enclosures. They make it easier for you to order and offer a discount on the price you would pay for ordering the items separately. 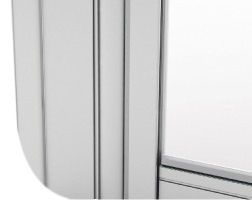 Aluseal doors are very solid in construction and provide attractive aesthetics based on smooth, clean lines. Polystyrene panels are encased within robust frames in a choice of finishes, including our original white polyester. Aluseal doors are also available with frames featuring our Metallique finish, providing a stylish metallic sheen for beautiful contemporary look. Metallique offers instant visual appeal to a bathroom facility to be enjoyed and admired by all. You can opt for clear polystyrene panels within the door frames. We also offer frosted panels as an alternative to the clear panel option. 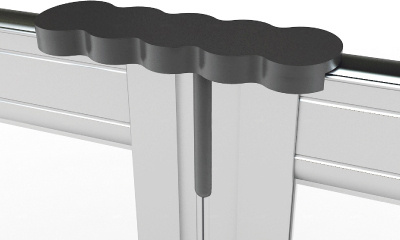 Water deflectors and round sleeve wiper blades retain water within the showering area. 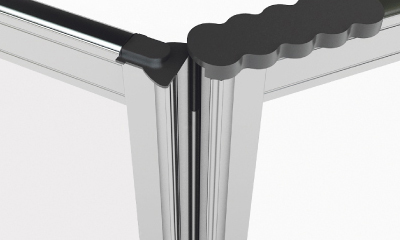 13mm rise-and-fall hinge with wiper blade and aluminium deflector maximises seal between door and tray. 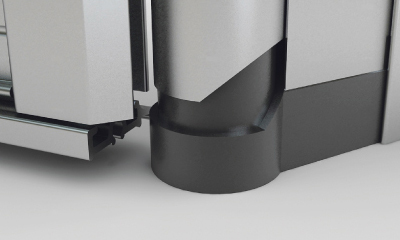 Inward and outward opening doors feature bi-fold action and 180degree wall hinges which allow them to be folded back, leaving valuable floor space clear when not in use. 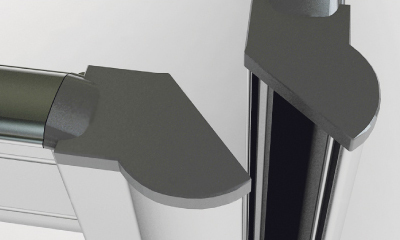 We incorporate strongly magnetised door closer strips to create a secure seal at the door opening. Caterpillar sliding lock prevents accidental opening and ease of use for less dextrous hands. Ideal for arthritic bathroom users. 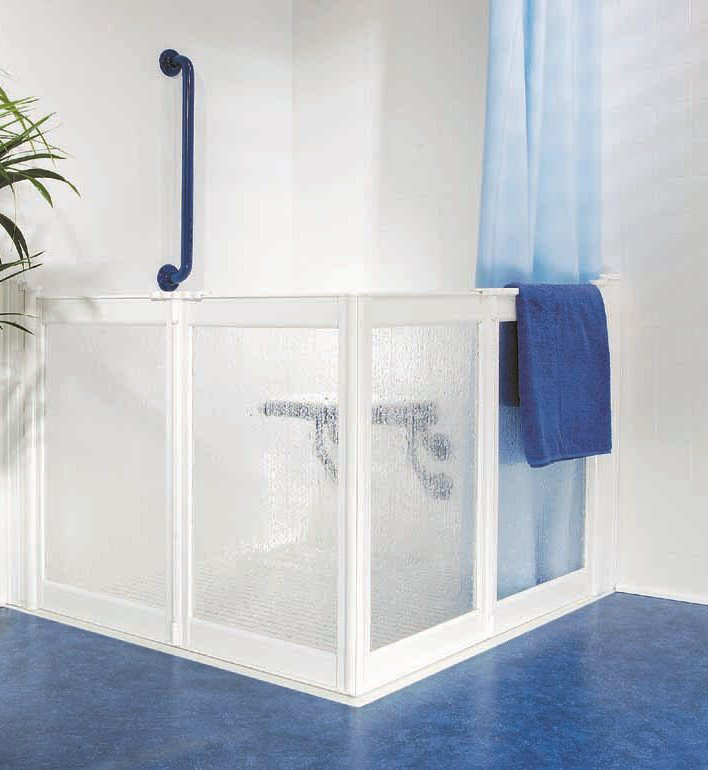 Easily installed in almost any type of showering facility, their compact design can adapt to small spaces, awkward layouts and irregular floors. Compensator plates can be precision-cut to accommodate altro or similar wet-room floors. 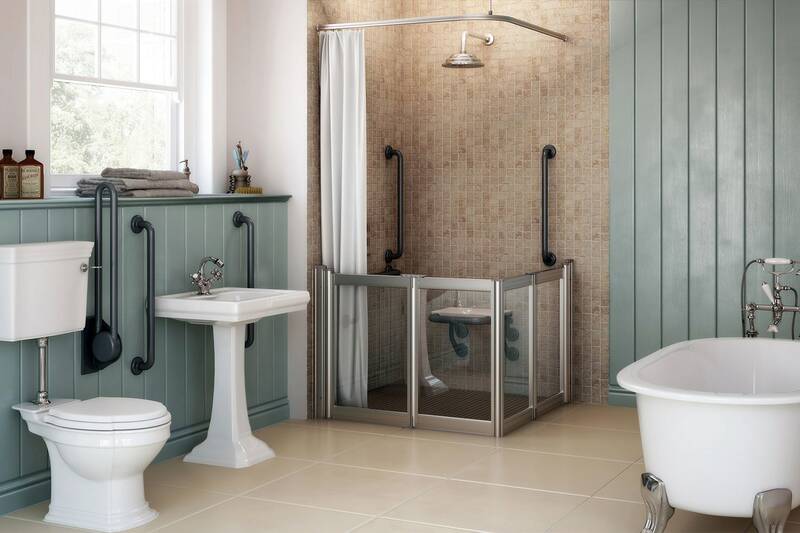 We offer matching shower curtains and curtain rails to fit the dimensions of your Aluseal enclosure. 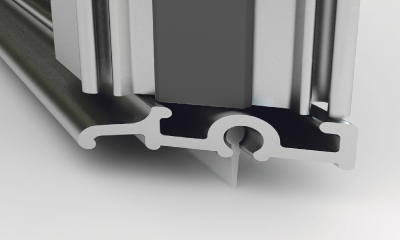 Rail options include L-shaped, U-shaped and straight. 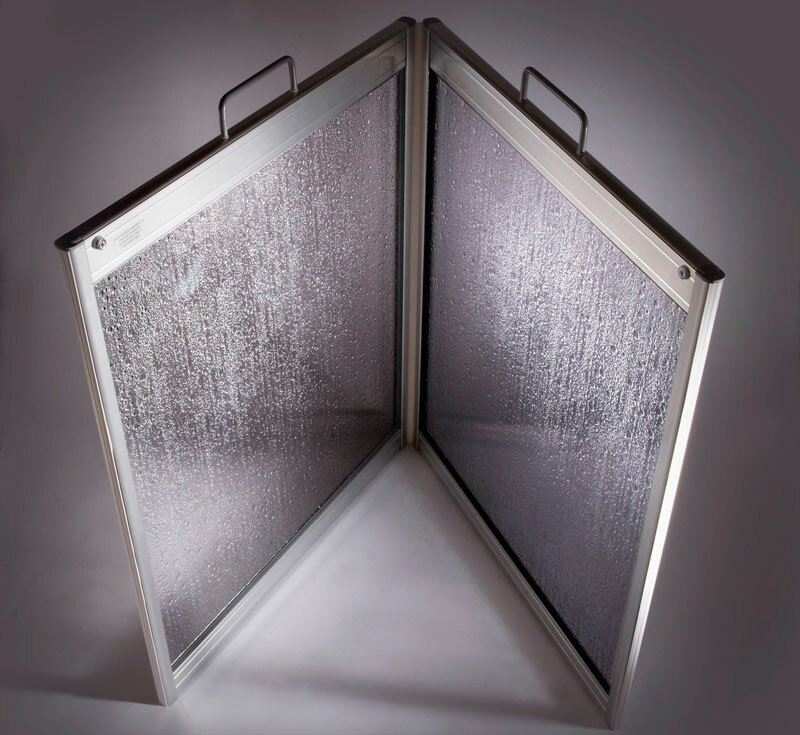 We also offer a range of portable carer screens, providing light and easy handling. They can be folded flat for storage or transportation. Available is classic white frames or Metallique finish frames.